Axilum Robotics has established a partnership with LOCALITE to ensure compatibility of the TMS-Robot with their LOCALITE TMS Navigator product equipped with an optional Axilum Robotics TMS-Robot supervision module. 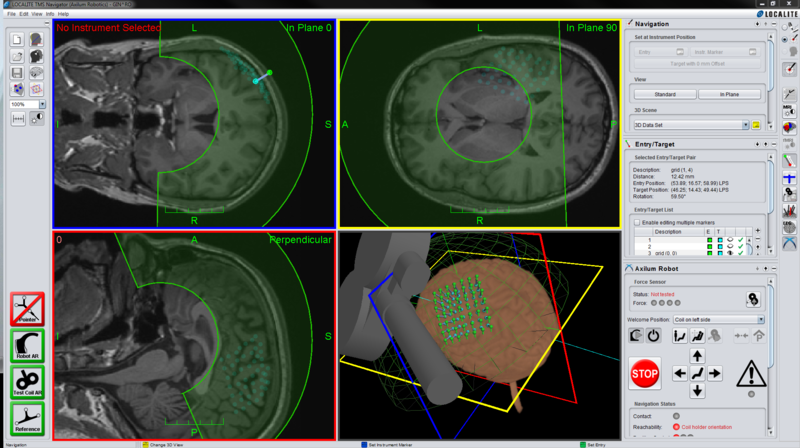 The full TMS system takes advantage of the 3D optical tracking system provided by the neuronavigation system. This page provides non contractual information; All specifications are subject to change without prior notice.